Welcome to the world of Shauna Shane's art. Enjoy the paintings featured in the gallery, as well as the artistic garden environment Shauna has created. 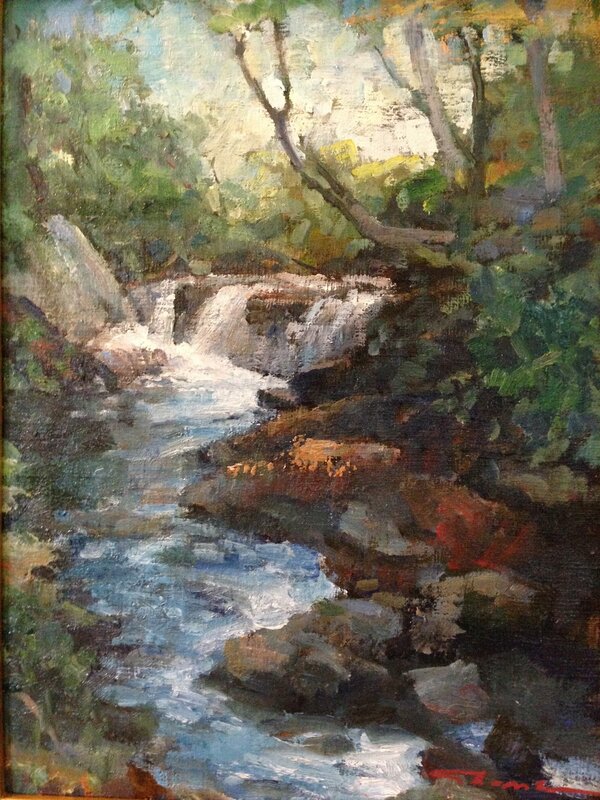 Here you will find Connecticut artist Shauna Shane's paintings, masterful in their execution, saturated with color, and alive with the fresh, impressionist brushstroke that comes only with the experience of many, many hours of painting plein-air, or "in the field." Displaying expertise in oil, watercolor, and pastel, Montana native Shauna Shane's impressionist paintings have received honors and awards in juried competitions around the country. • You will find my recent paintings in the Gallery Menu. • FentonRiver Garden reveals images of my garden inspirations, whimsies, and fossil leaves, as well as my round cob chicken house with living roof. When you visit Shauna's studio and home in the historic village of Gurleyville, you will discover a creative world and and a truly inspiring art experience. Located adjacent to the beautiful Fenton River in Storrs, CT, you will find columns, sculpture, an acre of flower gardens, outdoor rooms decorated with the garden art, cast leaves and cement sculpture, large globes spilling over with flowers. Those of you with a rural history or a naturalist's curiosity will enjoy finding a round cob chicken "house" flickering with light coming in through multicolored bottles embedded in the walls. Covered with chartreuse Sedum and edged with Petunia and Morning Glory, the bamboo reciprocal roof will be of interest to gardeners and engineers alike. Be sure to check out my blog about the life and times of a working artist, (that would be me), and whatever bits and pieces I can think of that will help in the creation of excellent art, a beautiful garden –– or perhaps a good joke.